The chakras are wheels of energy inside the body. This ancient system is often thougth to have emerged from the yogic traditions of India, but in Opening to Spirit, Caroline Shola Arewa explores the importance of the chakras to the ancient Africans and Egyptians. 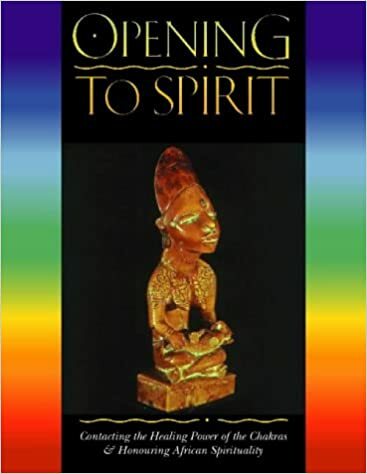 She illustrates the common root of many of our spiritual traditions through the mythology and spirituality of Ancient Egypt, Early India and West Africa. You can find this book on Amazon, I will update the post with a pdf down the line. To learn more about the author Caroline Shola Arewa go to www.energy-4life.com She is the founder of Energy 4 Life wellness coaching offering people the opportunity to get their Energy back and Life on track using health and conscious living techniques. Shola has five published books, including the best seller Opening to Spirit, now in its 15 year anniversary edition. Shola writes on psychology and wellness for numerous health and lifestyle magazines including, Yoga Magazine and Arik Airline. She is also a featured expert in the highly acclaimed film Yogawoman.